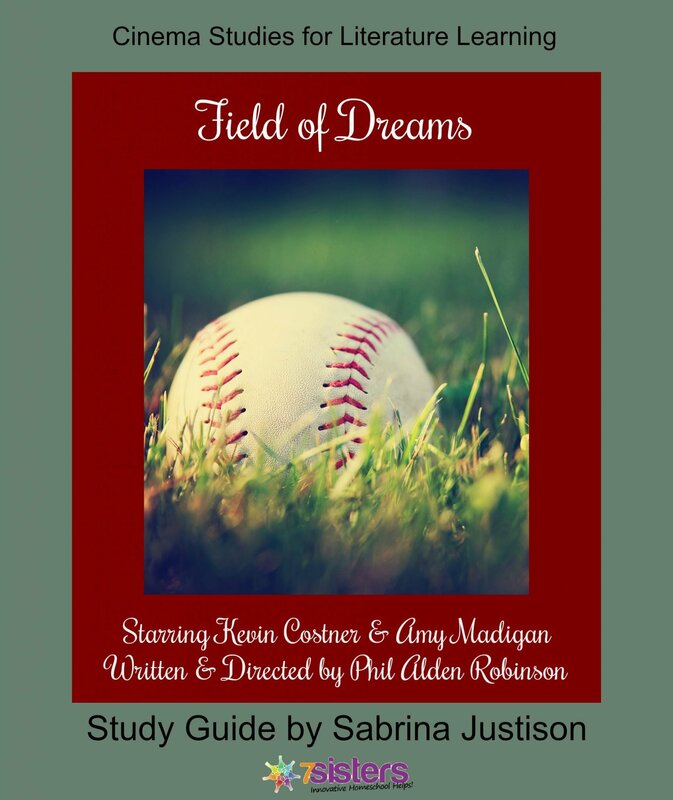 Introducing Sabrina Justison’s Field of Dreams Cinema Study Guide, for literature learning using the medium of movies! This format for literature study is a great option for high school students who become overwhelmed with a demanding reading list. Can you REALLY use movies as literature? While reading books is still a necessary part of a teen’s high school education, placing the ANALYSIS of literature primarily in the arena of movies is a good option for some students. As with all curriculum from 7Sisters, we aim for no-busywork and no-overkill, instead offering teens a chance to build critical thinking skills while earning high school credit. Click here to view an excerpt from Field of Dreams Cinema Study Guide. For a whole year of high school literature learning with cinema studies, click here to view a product description of the full-year bundled curriculum at 60% off the price of all 15 guides if your purchased them individually!